The job of a plumber can be very varied; you will find that you need to call for a plumber to help you out in a variety of situations. Whether you have water problems in your bathroom, are hoping to have an environmentally friendly home, or need a sauna installed – your plumber is the best person to help you out. A good plumber will be able to handle burst pipes and drainage issues, which you should not attempt to work on yourself, if you are untrained! They will be able to make sure that your bathroom is hyenic and that your kitchen also has hot, cold and clean water! They also make sure that you get a hot water line in the kitchen and make proper arrangements to install water lines in and out of the dishwasher. If you’re hoping to have an eco-friendly house, then your plumber can link a solar water heater with your bathroom and kitchen taps. Make sure you find a plumber who has experience in this before you hire them to do the work! You may also want to consider hiring someone who can work alongside an electrician to make arrangements for a spa or Jacuzzi in your home. If you have problems with flooding then a plumber is also the right person to call, they could solve any flooded bathroom issues that may result due to heavy rain and sewer blockages. You will also find that a plumber will be able to make sure that all the pipes inside the walls are fit to handle enough pressure. Especially in old constructions, when metal corrodes, the pipes may burst, leading to water leakages all over. A plumber takes care of this situation and helps you lay new and improved lines. This is, however a challenging and time consuming job which can be very expensive for you in the long run! Your plumber can also help you achieve proper shower pressure and flushing pressure in the bathroom and toilet. A good plumbing service may also be required for fixing water heaters or geysers. This can either be connected to electricity or solar water heaters. 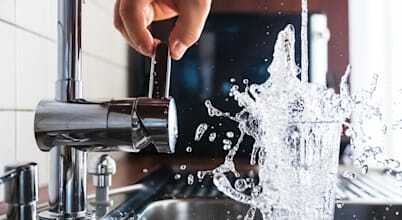 Only a plumber knows how to connect the main line with the heated water line for supplying hot water in the house – so make sure you hire someone who is fully trained. They also help you to connect bathroom water lines to the solar panels on the terrace. You will also find that your plumber is very useful when it comes to installing the perfect kitchen. When they set up your new home, they will be able to help you in setting up your RO or Aqua guard, so that you get clean and purified water every time. How do I find a high quality plumber in Birmingham? When it comes to finding a high quality plumber in a city, you may find that you have a difficult job on your hands, especially if you do not know where to begin. However, start by asking around – whether this is family, friends, neighbours or colleagues, someone will be using a good plumber and should be able to recommend their services! Make sure you choose a company who are insured and can solve any problems if you find that you have any complaints. Always make sure to do proper research about the website and plumber you choose before booking an appointment. Also, you might like to consult the newspaper and pamphlets to know more about any deals and discounts! Get to know the experience and training your plumber has before you choose them too in order to make sure that you know they can do the work properly! When it comes to hiring a plumber, you should make sure that they have been trained to the highest standard and have had enough experience. You should also make sure that they know how to deal with any of the problems which you are facing. If your plumber does not want to give your references or has no previous reviews, this can be a bad sign. So you should always check out your plumber thoroughly online and by speaking to people too. If you have decided to go with a big agency then you will find that they have usually done a proper background check on the plumber themselves, which means you often don’t have to. However, if you are hiring a freelancer or someone you have found online, then make sure that you have spent enough time making sure that they are the right person for you. To ease yourself from all this trouble you could choose to go with plumbers suggested by your friends, relatives and neighbours. How much will a plumber cost in Birmingham? You may find that a plumber in Birmingham will cost a lot if you do not do your research in advance. There are many people who may try to rip you off, so make sure that you either choose a reliable agency or make sure to find a freelance plumber who comes highly recommended! Check around with family and friends to see who they usually work with. A plumber in Birmingham should not be as expensive as one if you were living in London, so make sure the prices match the area you are in, the work that needs doing and the amount of time you will require them to work too. 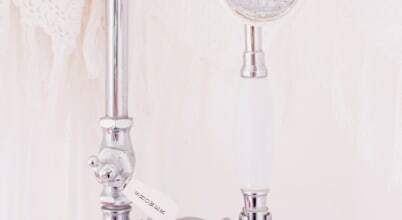 If you decide to call a plumber at night or even in the holidays, then you will find that the prices can often be extortionate. Once you have found someone who is right for you, make sure you work with them again – this way you may are more likely to be able to ensure that they are loyal to you and that they also will be fair when it comes to keeping prices down! You should also consider using homify to find the right person for you. Using the filters means that you can find the right professional and in the right location too. Finding a plumber this way should not be too difficult! How can I keep the costs down when hiring a plumber in Birmingham? You will find that there are many times when the rates of a good plumber can seem far too expensive. However, knowing a few tips and tricks can help keep the prices down. These include, knowing how to deal with a situation before your plumber arrives so that you do not have to call them out in the middle of the night, or on an emergency call. You should also make sure to do you research around some of the plumbers in your area so that you know they are working for a fair price! If you have some basic plumbing supplies at home then you should be able to deal with smaller issues before your plumber arrives. You will also find that the costs can be kept low if you call local plumbers only. Try not to go for any big agencies as they might charge you taxes and transportation above the much higher labour costs. If you find that your plumber needs parts, then you should try and source these yourself so that you can keep the prices down this way too. When it comes to building your own home, or even maintaining a beautiful house, you will find that there are many processes and problems which you will face. Having the right professionals in your phone is one of the best ways to make sure that you do not have too much trouble when it comes to fixing any issues. Below are some of the best professionals to keep in mind, as they will be able to drastically help you when it comes to having a perfect home. Make sure to check out all of their pages on homify too, and use the filters to find people who are in your area! The process may seem a little daunting, but you’ll find many professionals right here who can help you out! A floor fitter is someone who will make sure that all the new floors in your home are laid perfectly! You may be tempted to do this work yourself, however, if you have no experience then it is easy for things to go wrong, meaning you will end up paying far more reparation costs in the future – this is definitely not desirable as flooring can be extremely expensive anyway! Make sure you have chosen your flooring in advance and researched exactly which is best for your home, this way you can find someone who can fit the floor for you! Many people specialise in different types of flooring, so remember to keep this in mind before you begin. An electrician should not be too hard to come by, however, finding the right electrician for you is very important! Having someone who is highly skilled will mean that the work which needs to be done can be finished in a much quicker time. An electrician will often work closely with a plumber, so make sure to speak to your plumber when it comes to finding an electrician as they may be able to guide you in the right direction. Your electrician will be able to install lights, work on appliances and make sure the electrics in your home are working properly! You will find that there are many great joiners in Birmingham who will be able to help you out in order to provide the finishing touches to your home. Whether they are creating beautiful lavish pieces of woodwork, or simply creating banisters and woodwork to hide the skirtings in your home, a good joiner can be invaluable. If you so require, a joiner may also be able to give your house new storage spaces by utilising corners and vertical spaces like lofts, attics and even cellars in some cases.